Here is a brief summary of our recommended hotels for your kite holiday in the Sultanate of Oman – may it be Muscat, Masirah or Salalah. The choice of accommodations we recommend are based on location, accessibility, service and the past experience of our guests. We have special prices for various hotels, which we gladly pass on to you. 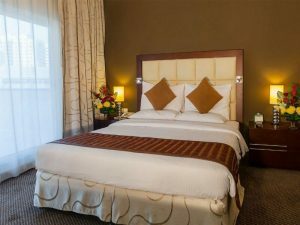 Of course, we can also arrange your stay at any hotel in Oman upon your request. Nice small hotel in the south end of the town Hilf. The Hotel has a small restaurant where you can get breakfast on request and others on walk-in base. The hotel provides as well a dcend W-Lan Internet free of charge. Apart Hotel in the middle of the town hilf. In walking distance to the main supermaktets and close to different local restauratns. The within tourists most known Turkish Restaurant is just 200 meters away. 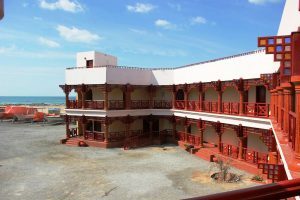 The Maan Hotel is the latest local hotel on teh Island and based on that the most modern one with the most modern infrastructure. The Classic Hotel on the Island for Windsurfers and Kiters. Most famous within Italians and Sovenian Windsurfers. It was the first Hotel build on the Island. Even if this is here and there noticeable, the hotel has nice rooms and the surrounded compond is a meeting point for all who come back from the beach and meet in a familier athmosthere. Das Hotel is located close to the power station which is outside of the rooms notieable by the created sound. Rooms are still quiet. The wooden huts in a simple infrastructure are right at the spot. Cooled down by natural ventilation and protected from the strong wind during monsoon. Alternatively, there are also simply designed “Deluxe-Rooms” available. 7 nights at the camp “Deluxe Room” with full board and Kiters’ Base Pack: 36.65 OMR per person per night. We are also happy to send you an alternative offer for your individual holiday. The 4 star hotel “Masira Island Resort” is without doubt the only comfortable accommodation on the island which meets the consistently good service and reasonable infrastructure you expect from a holiday hotel. It is the only accommodation on the island which is allowed to serve alcoholic beverages to their guests. The hotel is in the north of the island at the southern end of the city Hilf. A low-cost dinner from 1.5 OMR per person in authentic surroundings of a local restaurant is our recommendation for some variety in the evening entertainment. 7 nights 4 star Twin Deluxe Room with breakfast and kiter BasePack : 32.27 OMR p . P. and night . The City Hotel in Muscat Athaiba is located halfway between the airport and the old town center of Muscat “Muttrah”. Thus, it is in a prime location and a cheap alternative if you want to breathe the air of the capital at the beginning or at the end of kite holiday. Accommodation per night in a double twin room with breakfast from 18.75 OMR per person. Write us for a today’s offer! 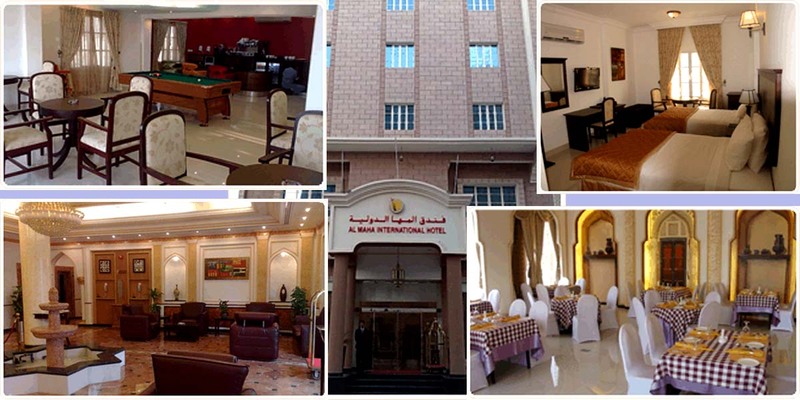 Very good middle class hotel near the airport with excellent access to the motorway junction towards Masirah / Nizwa and good price / performance ratio. Since recently, alcoholic beverages are available at the hotel. Moreover, the hotel is the closest venue to our spot at The Wave / Kitebeach Al Hail. Accommodation per night in a double twin room with breakfast from 31.25 OMR per person. The first address when it comes to water in Batina Area, north of Barka-Muscat. From the connected marina you can comfortably start the Damaniyat Islands for dive trips. Ideal location for a water sports holiday with diving and kiting. Price on request, leave us a message! You didn’t find a hotel in your holiday destination? Just get in touch, we can arrange a stay in any hotel in Oman at special bargain prices! Leave us a message and we will gladly help you to have a great holiday.